The Mother Lode. For me this name conjures an image of an intergalactic flying space turd. Kind of a horrifying image, right? But perhaps I watch too much Futurama. A Mother Lode is a principle vein or zone of mineral veins, typically gold, silver, or ore. In California, the Mother Lode is an area in the southeast Sierra Nevada extending from El Dorado County in the north and Mariposa County in the south. This area produced more gold than almost any other area in the United States in its heyday. Now it is an area that relies on tourism to bring in money and has a number of state parks devoted to the story of gold. Our journey centered on Toulumne and Calaveras counties. The majority of Toulumne county is taken up by Yosemite National Park. As we were venturing out on Memorial Day Weekend, and I already have a Yosemite trip planned for later this summer, we wanted to avoid crowds and experience the rest of the area. Toulumne county is small: it is home to approximately 55,000 people and has only one incorporated city, Sonora, which is also the county seat. In spite of its small size, Toulumne has a lot to offer the tourist, especially one who is a state park and California history enthusiast such as myself. Getting to Jamestown, and the rest of the Mother Lode, is an easy drive from the bay area. 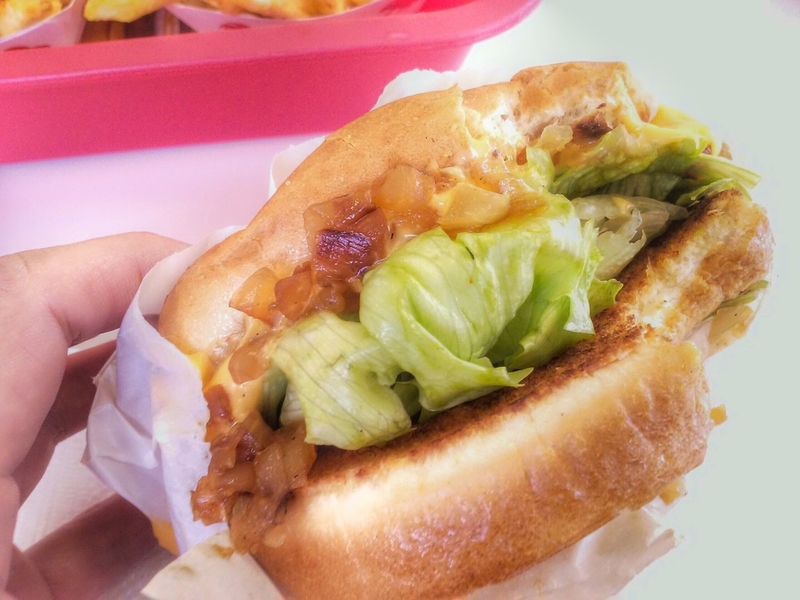 It takes about two and a half hours in good traffic, plus there are a number of In 'N Out locations which are an essential to any California road trip. In fact, I only eat In 'N Out on road trips. From the 237 east (we were coming from Mountain View), get on 880 north and take this to 680 north. From the 680 get on 580 east toward Tracy over the Altamont pass. Get on 205 east and take this to 120 east and follow this and the 108 toward Jamestown. Jamestown is a census designated place in Toulumne county with a population of around 3,000 (though the population sign for Jamestown says there is only around 900). Antique stores, historic hotels and saloons line Main Street Jamestown. We wandered around here for about an hour, purchased an old set of Boggle which was in excellent condition and Girl Scout handbook from the 1960's at an antique store. 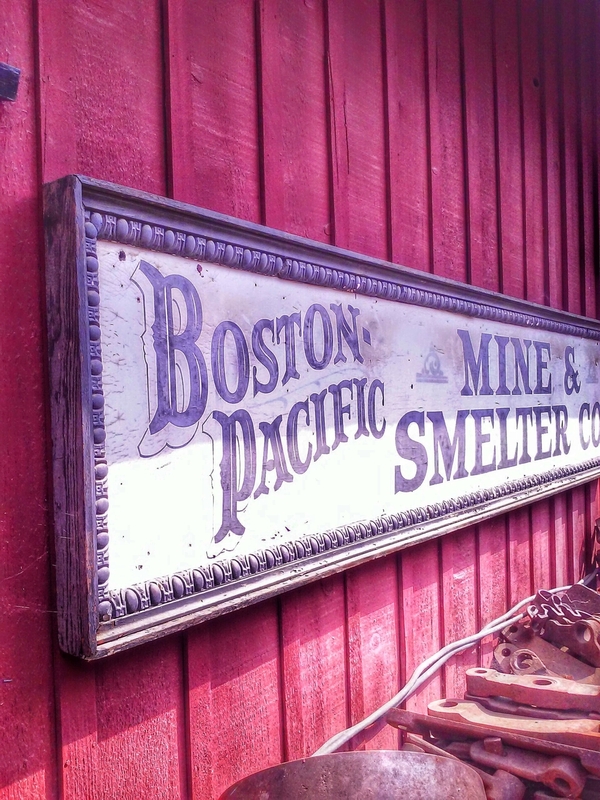 There's also a legit gold panning store where you can sign up for gold panning expeditions. Honestly, downtown Jamestown was not really our type of place and an hour of wandering through antique stores was plenty of time, but the buildings dating back to the 1850s through the Victorian era are quite well restored. The real reason for our visit, and pretty much any visit, to Jamestown was to go to Railtown 1897. Railtown 1897 is a California State Historic Park situated several blocks from Main Street Jamestown. We arrived too late on Saturday to ride a train, but we explored the other parts of the park. 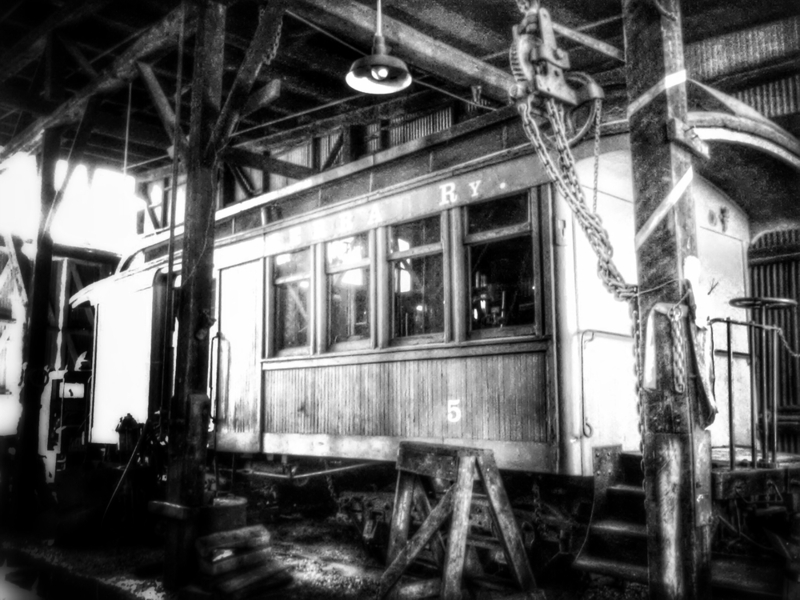 Railtown 1897 is a state historic park commemorating the historic Sierra Railway Company started in 1897. The roundhouse at the park is only one of two operating roundhouses in the United States which maintains steam engines. These steam engines have been lovingly restored with the expert knowledge of volunteer mechanics and millions of dollars in donations from people like Clint Eastwood. Also at the park is a Blacksmith Shop and an exhibit of the movies and television shows these trains have featured in, including Back to the Future 3, Unforgiven, and Petticoat Junction. On Sunday we journeyed back from Sonora to ride the train at 10:30 in the morning. The train ride costs $15 per adult and includes admission to the park, a thirty minute tour of the roundhouse (which is not accessible otherwise), and a forty-five minute ride on a steam train. The steam trains generally operate on weekends and during the week they run diesel trains. I highly recommend waiting for the weekend and riding the steam; it is definitely a unique experience. We had the especial privilege of riding Engine No. 3 which was featured in Back to the Future 3 and is an engine they typically do not use unless it is a holiday. To start with, we went on the thirty minute tour of the Roundhouse. Our tour guide Ken was informed enough and a pretty good story teller, though we were afraid to ask him any particularly difficult questions because his knowledge did seem limited. This is not a tour for young children who just want to ride the "choo-choo". We had a number of families who started off with us and dropped off about five minutes into the tour. 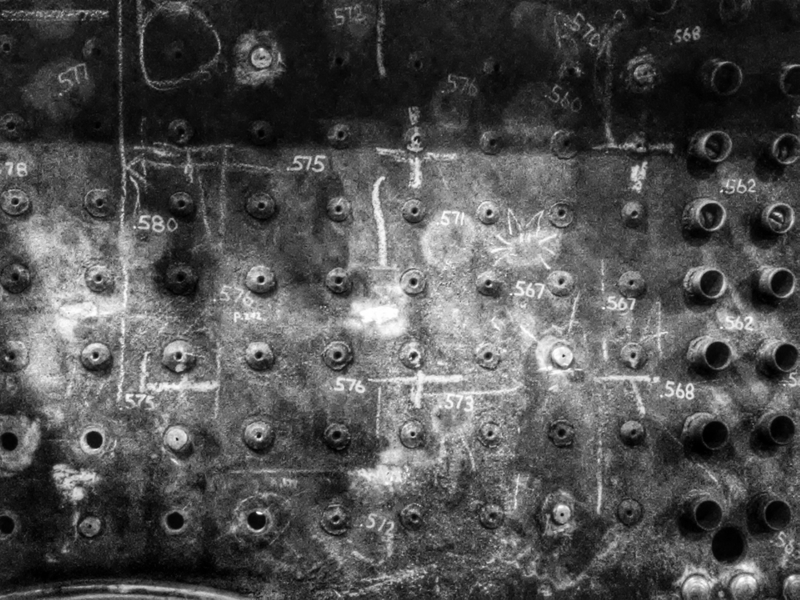 As train enthusiasts, we were fascinated by the engines that were in current repair and the history behind them. My particular favorite was the Hetch-Hetchy Speeder which was used to traffic people to and from the Hetch-Hetchy dam project. Outside the Roundhouse is an actual operating platform that turns the trains around. On Saturday we got to see them moving Steam Engine No. 3 and a speeder into the Roundhouse. It was an incredibly cool and well timed performance by the engineers to watch. I am amazed that people have passed down the knowledge to keep these trains operating and maintained. After the Roundhouse tour, hop on the train and find a seat in the back where the views are the best. We unfortunately were not able to find a seat in the back of the train and settled for a two person seat near the front of our train. The train ride is smooth and fairly slow as you make your way through oak studded hills passing ranches and creeks. The best part is when the steam escapes from engine and makes that classic train sound. When they reach the top of the line, the engine decouples from the cab and moves to the back of the train. The ride back to the park is faster as the ride is downhill. 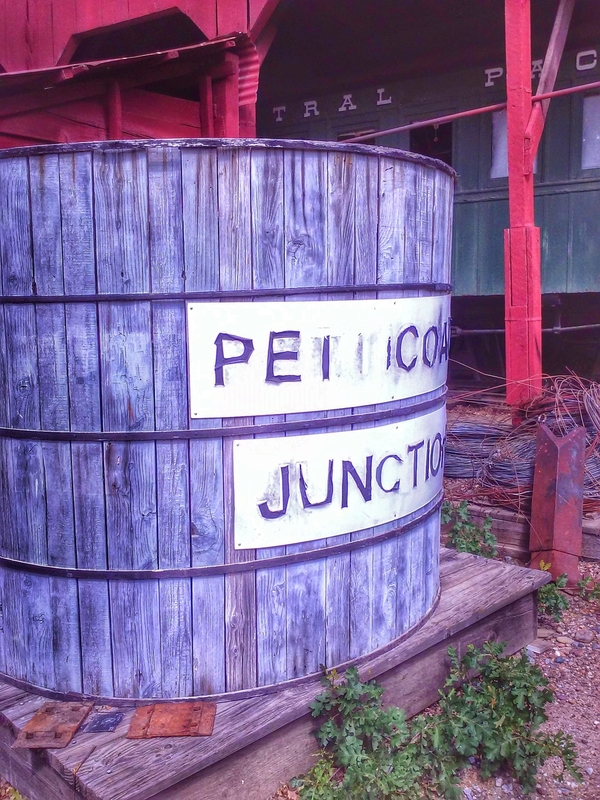 Unless you are a freak for antique stores or want to enjoy a whiskey in a historic saloon, you can skip downtown Jamestown and go straight to Railtown 1897. Railtown 1897 is absolutely kid friendly, affordable, and will provide the special experience of riding a steam train. We saw a number of children, and adults, having a fantastic time.